A 2-day weekend training in the key components of NVC. This is an opportunity to explore the fundamentals on day 1 then deepening your connection and understanding on day 2. The aim of this training is to give you a taste to what NVC is all about. We also offer private NVC Workshops for groups, businesses and schools. Term 1 practice group is currently closed. 1 Day Intros / NVC Practice days. These are days to introduce yourself to NVC or re-cap on skills already learned. NVC Practice days are all about practice … roll up the sleeves and implement the tools. Come along for a taste of NVC. This day is for people with no NVC experience, and people with lots. Learn, grow, connect and deepen into the principles. One of the most life serving skills we can learn is empathy. A way to empower ourselves and others to create productive, worthwhile, friendships and relationships. This one day programme is designed to give people the competence and confidence to go out and use empathic communication everyday in all situations. 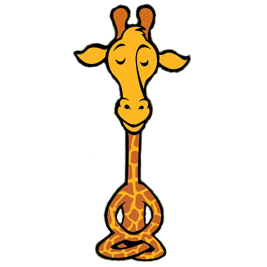 We will provide facilitation and activities that will give the participants the opportunity to learn and practice the art of becoming a “Street Giraffe.” That is effective without sounding like a automated NVC machine. A weekend couples workshop: Intimate relationships are often challenging. We can hold our values of honesty and caring and still end up in a barrage of words that lead to disconnection and pain. This workshop is designed for you and your partner to spend time with each other, receiving support to practice the skills of NVC that naturally open your heart & lead to a fulfilling relationship. A Pre-requisite of a NVC Foundation Training is required to attend. As a couple, we support you as a couple. We offer 1.5 hour – 2 hour 2:2 sessions in our or your home to support you to deal with situations that one or both of you are having challenges in being heard. You will use the language & skills of Nonviolent Communication to navigate and resolve conflicts between yourself and others, & between others who are in conflict that do not directly involve you. Limited to 12 people. (Must have NVC Foundation Training). A One Day workshop for people who have done an NVC Foundation Training & wish to deepen their skills & connection. This is an opportunity to learn more about companioning Dance Floors as well as working through any current issues you might have, using the 5 or 13 Step Dance Floor. Gather 4 or more people together and we will come in and run a 2 hour introduction evening in your home. Cost: Koha. To book an evening, please contact us. If you are needing support in creating a more harmonious relationship with yourself or others close to you, we offer 1:1 empathy or mediation sessions. A chance to have an interactive, connected day learning more about NVC. We take the key principles and practice them over the whole day. Discussing, practicing and developing a deeper connection to our needs. A wonderful way to delve more deeply into NVC with a supportive group of people. If you get a group of people together, we can run an evening or day session practicing NVC principals that you would like to cover. We offer needs based NVC workshops to schools that include staff, teachers & parents. We can meet with your family and provide support in learning a communication process where everyone gets heard and all needs can be met. This includes on going coaching for the whole family. A weekend workshop with Steve, Jen, Dawa Turtle, Wayne, Deb, Ben & Tayla. Join us for a shared outdoor family experience to deepen your awareness of nature & NVC.